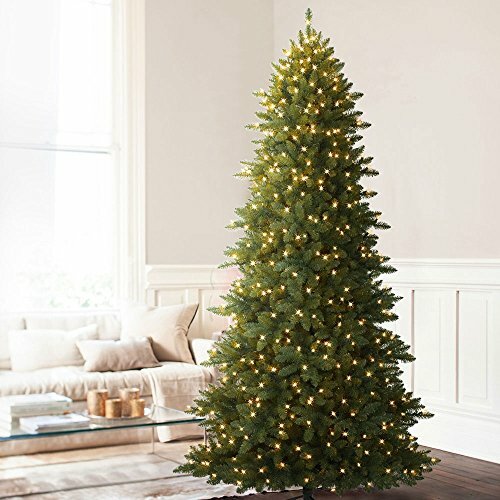 Balsam Hill's 6.5-foot Berkshire Mountain Fir Artificial Christmas Tree features Classic Needles in light green and grass green hues for a natural appeal. Premium clear lights are hand-strung by professionals for a clean and balanced glow. Each branch of this fir Christmas tree folds outward for a quick and easy setup. Our high-quality PVC Classic Needles are used to create most of our traditional trees, and to give some of our realistic trees a dense, full look. Whether clear for a classic holiday look or multicolored for a more festive atmosphere, our premium lights add sparkling radiance to your Christmas tree. These UL-Listed lights remain lit even if one bulb burns out. Narrow shape, measuring 6.5ft high (with stand), 42in in diameter. Tree pictured is 7.5ft tall.